The article below was a small section of my book, AIDS Inc., which I wrote in 1987-8. 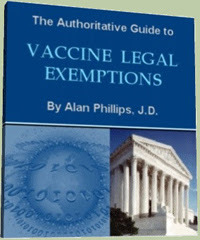 At the time, I decided to take a look at vaccines and see what I could find out about them, because questions were being raised about the possible disease/toxic effects of a relatively new hepatitis-B vaccine, and its possible connection to AIDS. Since the period of 1987-8, much more has come to light about vaccine safety and efficacy. I’ve made no attempt to update my findings. They stand on their own, and reveal that, in the historical record, much has been lost, forgotten, and misplaced. For years, critics on the fringes of medicine have pointed to problems with vaccines. It is generally acknowledged that, given to people whose immune systems are compromised, they can be immunosuppressive. And from time to time, stories have surfaced about vaccines which have been dangerously contaminated by extraneous viruses or bacteria, as a result of the manufacturing process. The history of vaccines, though, shows a much more disturbing record than one might think. Here is a series of excerpts from authors on the subject. It is a quite different slant on vaccines. “But already before Salk developed his vaccine, polio had been constantly regressing; the 39 cases out of every 100,000 inhabitants registered in 1942 had gradually diminished from year to year until they were reduced to only 15 cases in 1952… according to M. Beddow Baylay, the English surgeon and medical historian.” Slaughter of the Innocent, Hans Reusch, Civitas Publish ers, Switzerland, and Swain, New York, 1983. 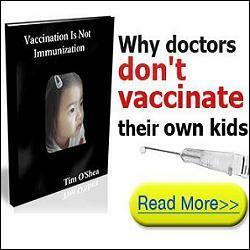 It is not adequate to say, “Vaccines are simple; they stimulate the immune system and confer immunity against specific germ agents.” That is the glossy presentation. What vaccines often do is something else. They engage some aspect of the body’s immune-response, but to what effect over the long term? Why, for example, do children who have measles vaccine develop a susceptibility to another more severe, atypical measles? Is that virulent form of the disease the result of reactivation of the virus in the vaccine?